Rent Noriega House | Corporate Events | Wedding Locations, Event Spaces and Party Venues. A historical estate and garden, events at the Noriega House feel intimate and quaint no matter how large the party. 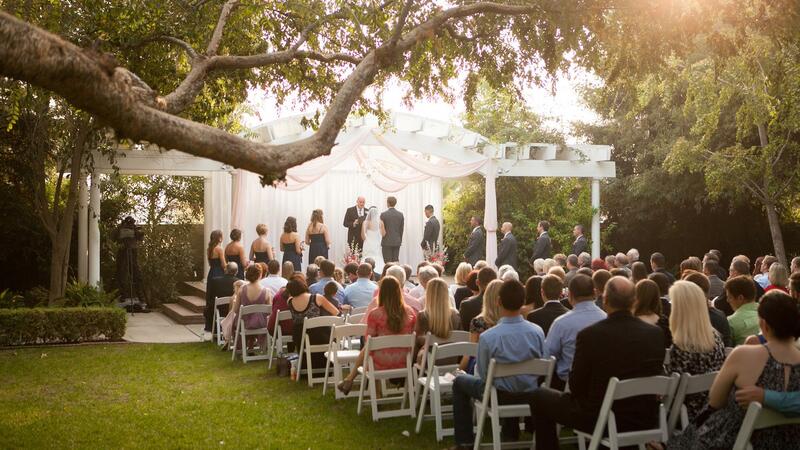 The Noriega House is indeed one of Bakersfield’s best-kept secrets, and the perfect venue to host your special day. Our estate accommodates small intimate parties or large scale galas for up to 300 guests. We provide professional support and an unforgettable ambiance for every type of special occasion including weddings, bridal showers, holiday parties, business meetings, graduation celebrations, birthday parties and much more. Our beautiful grounds and estate garden are also the perfect backdrop for capturing your photographic memories. Our Event Packages are specifically designed to help relieve the stress involved in coordinating a special day. We can assist you with every detail and anticipate a few details you haven’t even considered that will make your day the affair to remember! With the addition of an Event Stylist, we can also support you in choosing everything from your linens to your flowers, innovative decorations and an incredible meal, your own custom cocktail, and of course, the perfect cake! Our Event Stylist can help you create a signature theme to customize the look and feel of your entire event. Do you need the perfect place to throw a Bridal Shower or Baby Shower? The Noriega House has several options to accommodate any size or style of party. Our Queen Anne Room has a warm, intimate feel yet easily fits up to 40 guests comfortably. The second story, Noriega Chapel is a wonderful space for larger Showers with room for more than 60 guests. The Chapel’s high-ceilings, open floor plan and ample counter space make hosting a celebration easy. Better still, the Noriega Garden is an ideal location for festive get-togethers, surrounded by our gorgeous roses and manicured hedges, guests can relax and enjoy a memorable day outdoors. The Noriega House is the perfect place to hold any party or corporate event. Whether it’s a graduation celebration, a birthday bash, or even an anniversary, the Noriega House has several options. From the Queen Anne Room that can seat up to 40, to the Noriega Chapel which can accommodate more than 60, or our beautiful Noriega Garden which can host any type of large scale event for up to 300, we have the ideal space for you! The newest addition to the Noriega Garden is the Noriega Lounge. This indoor/outdoor bar is fully equipped with surround sound, two flat screen televisions and a cell phone charging station.